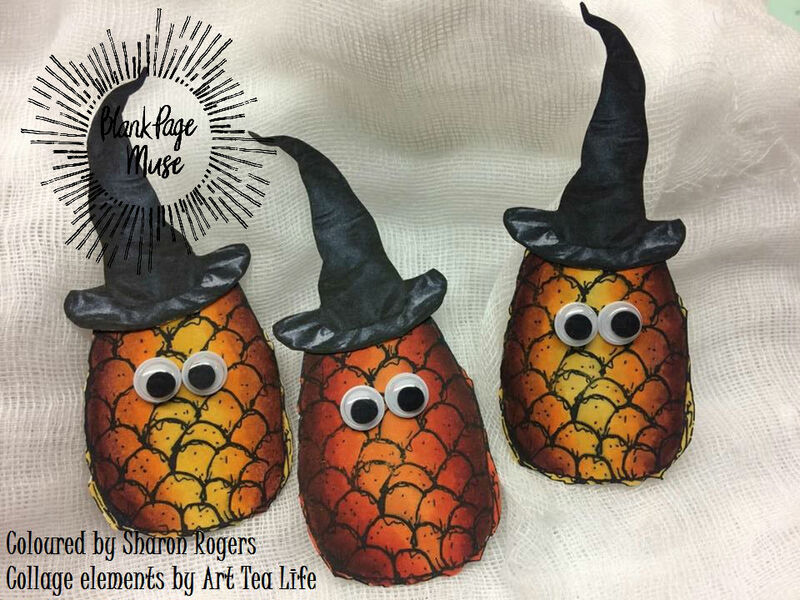 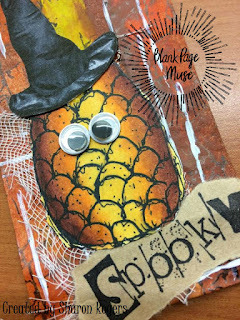 Blank Page Muse: Spooky Pineapple Treat Bags??? 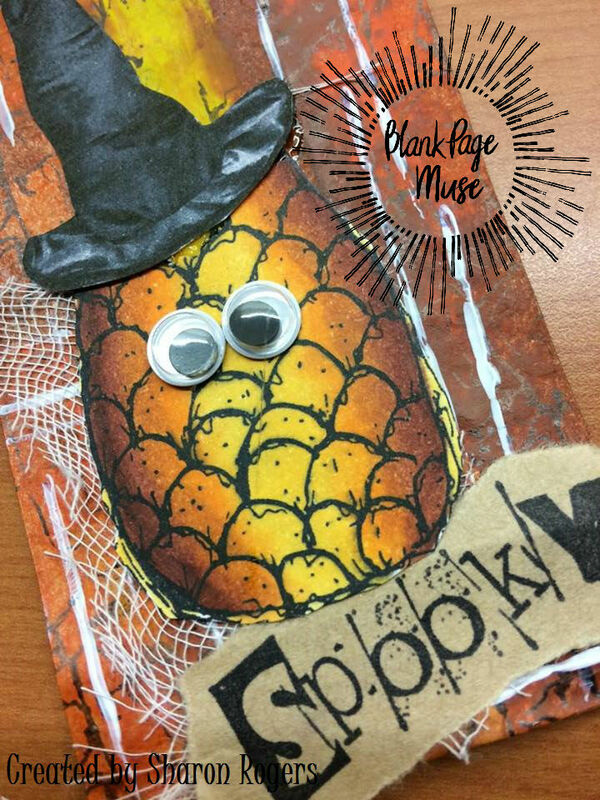 Hi Again Blank Page Muse Fans!!! 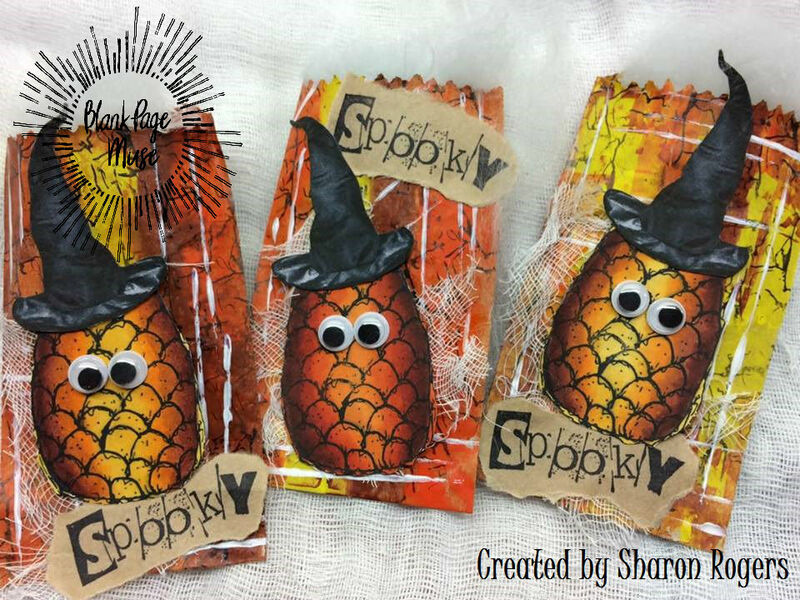 Who's ready for some quick and fun little treat bags???? 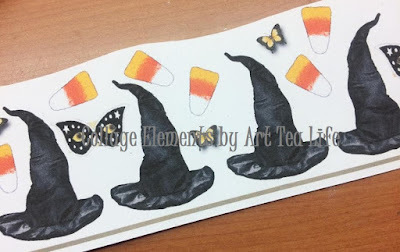 I've used some tiny plain paper bags and transformed them into treat bags with a couple of Blank Page Muse Stamps and some collage witch's hats!! 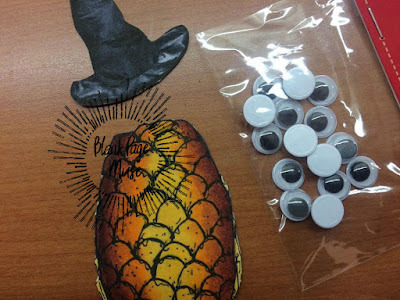 FUN!!!! 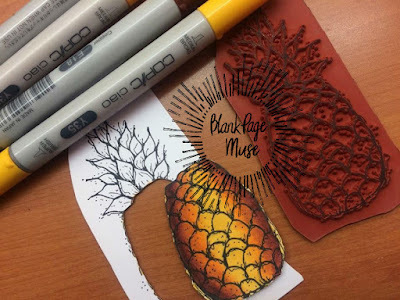 Stamp the Pineapple stamp onto white card and color with your favorite coloring medium - Copic Markers used for these samples - and fussy cut - cut off the pineapple "crown"!!!!. 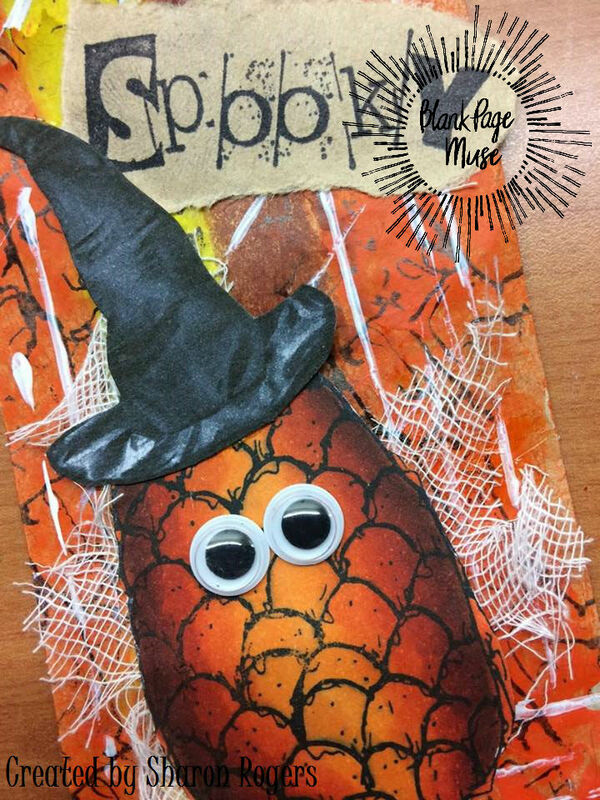 Print the collage witch's hats onto card and fussy cut. 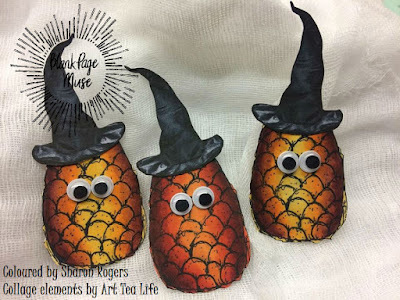 Adhere the witch's hat to the pineapple and add the wiggle eyes!! 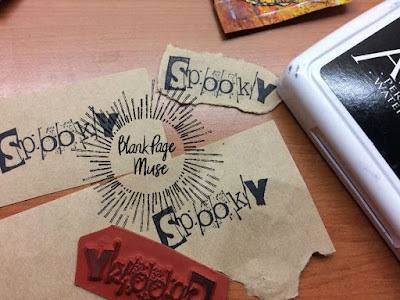 Stamp the "Spooky" word stamp onto Kraft coloured paper and tear out. 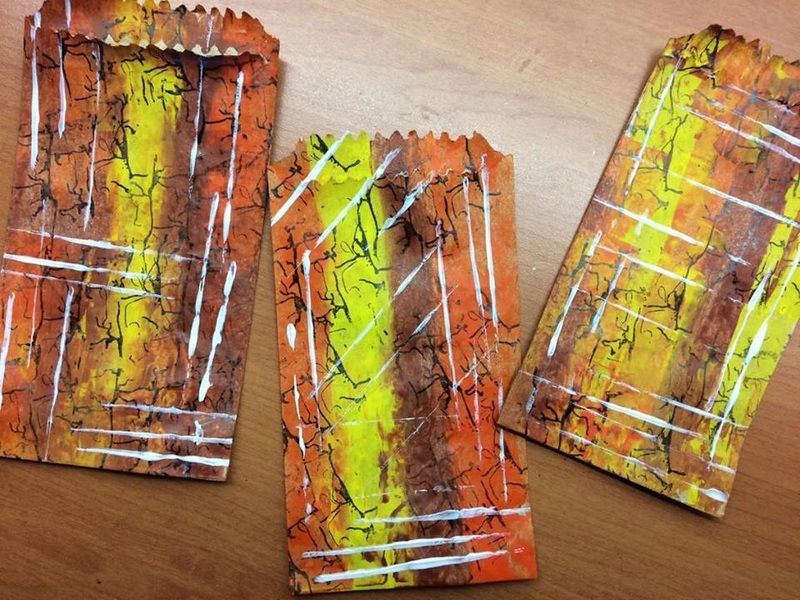 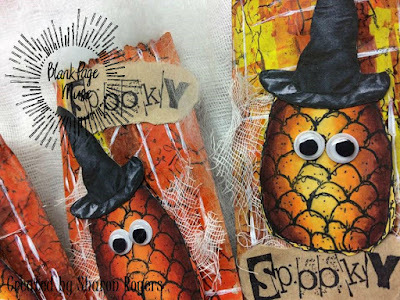 Decorate your little paper bags with acrylic paint in colors to match your "pineapple witches" LOL!! Once the paint is dry use your black archival ink pad and stamp with the "crackle" look stamp from the background grunge set - it has a spooky look!!!! 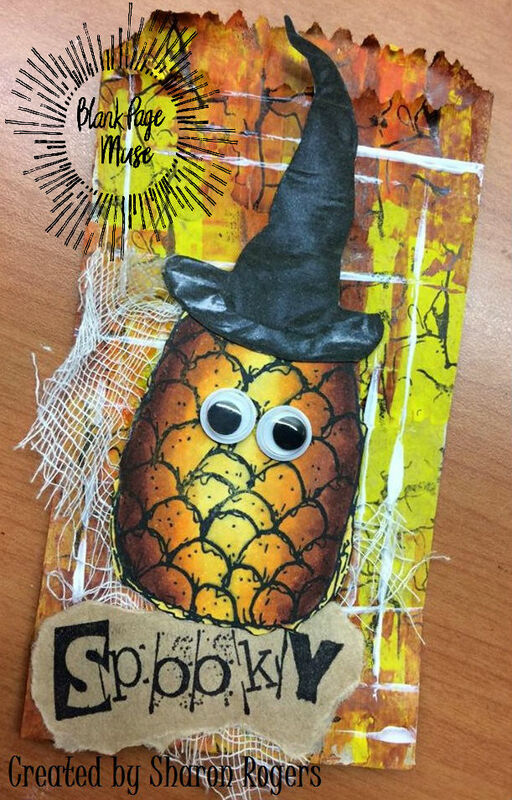 Add the wording, the assembled Halloween Pineapples and a piece of muslin cloth to the paper bags. 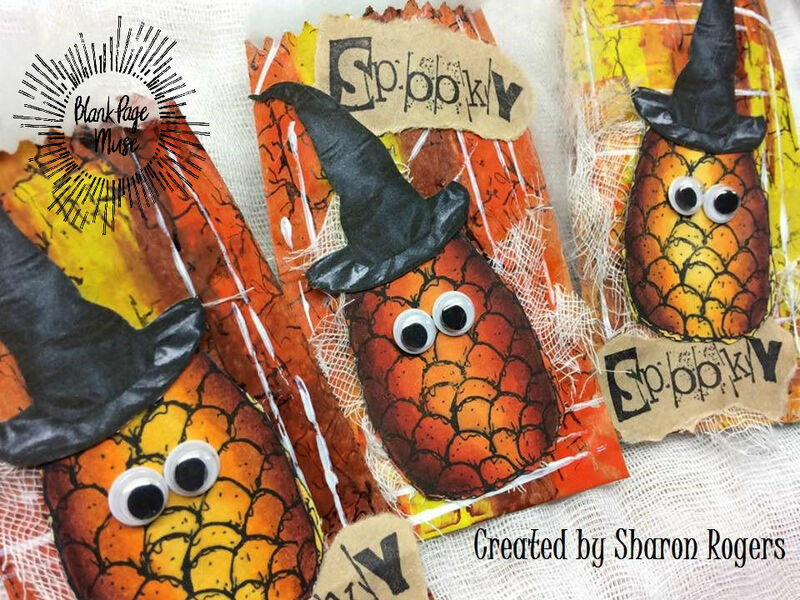 Fill your completed bags with treats for the kids!!! Hope you have some fun using this "Pineapple" stamp for something other than "Fun in the Sun" LOL!!! 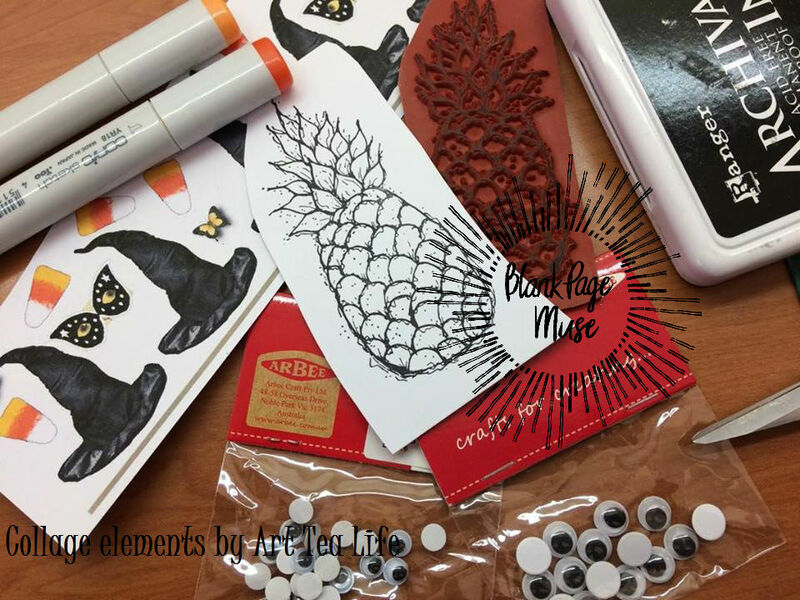 A perfect way to have fun with your rubber stamps and get creative with their uses!! omg Sharon these are soooooo fabulous! Love these treats!